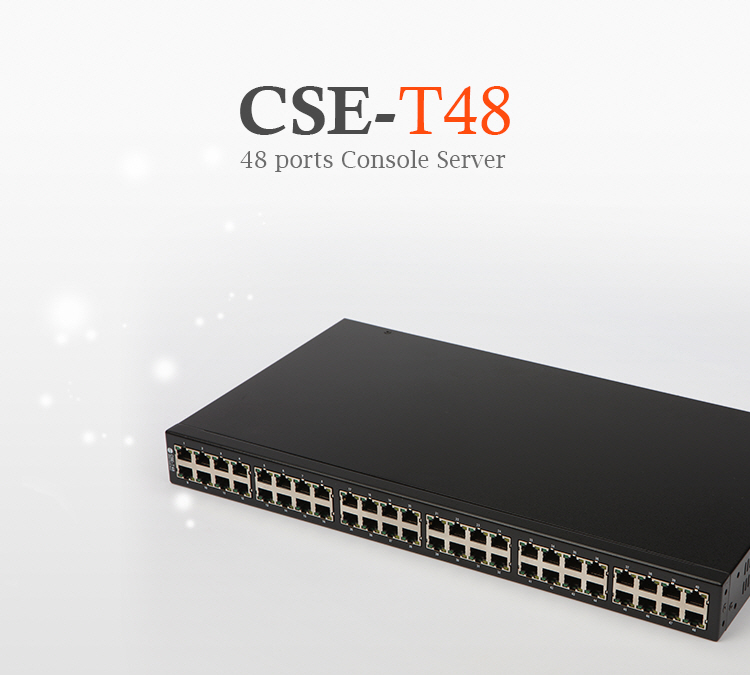 CSE-T48 is a 48-port console server allowing devices with console ports to be embedded with networking capabilities. With CSE-T48, therefore, you can easily monitor status of console ports over the network from anywhere in the world. It also helps you save your time and energy by improving efficiency of integrated management and control of many devices in diverse applications. This RS232 console server is an ideal solution for Remote Console Monitoring as it supports useful features such as 48 ports of RS232, a security protocol (SSL) to protect data transmission, sharing serial ports through the network (Telnet with RFC2217), etc. CSE-T48 can be applied in communication environments such as Remote Console Monitoring and etc.